Let Me Go On &; On...: "It Gets Better, I Promise" ...Does It? You’ve probably already heard or read about Jamey Rodemeyer. He was a 14 year old freshman from Buffalo, NY who was being bullied in school and on the internet. From an article on the Washington Post, they stated that on a Formspring account, which many kids have, he received messages such as, “JAMIE IS STUPID, GAY, FAT ANND UGLY. HE MUST DIE!” an anonymous commenter said. “I wouldn't care if you died. No one would. So just do it :) It would make everyone WAY more happier!” said another. Jamey then put a video up called, “It Gets Better”, giving kids around the world a positive message about preventing suicide and how things do get better, but unfortunately, he ended up taking his own life last Sunday. In the video, you can see the hurt, the pain, the agony of this boy and how he was still struggling, yet still giving a positive message to everyone out there listening. This video breaks my heart. I’m going to come clean about something in hopes that both these young girls, (my nieces on my wife's side) reads this. I’m not sure if they even read my blog, but many months ago, one of my nieces was being viciously bullied on Formspring. When she was thirteen, I swear to you she had the mannerisms and maturity of a twenty-five year old. She holds herself together beautifully and the both of them are absolutely stunning in so many ways. (I’m not just saying that because I love them!) So one day, I saw “Laura” post up her Formspring account. “Ask me anything”, she said, which many kids do these days. The problem with this forum is, it leaves a lot of undesirables and haters commenting anonymously and toying around with other kids’ emotions. Comment after comment was nothing but the most vicious remarks, name calling and even a “kill yourself” statement. I took it upon myself to write an anonymous comment, letting her know that her haters are her biggest fans and most of all, these “anonymous” jerks are all jealous of her. She kept answering all of these negative comments and so I wrote, “Why feed the monsters? You’re giving them too much power. Get rid of this forum and set up a blog where only YOU have the control.” And she did thank God. She even replied to me, “Is this an adult?” I didn’t write like her haters, “Sup, take yo site down these haterz are whack yo!” I should have, to just ‘fit in’. I am honestly so frightened that my own blood related nieces and my one nephew are growing up way too fast. I fear that one day they’ll be online getting these same messages. Just the other day, my 10 year old niece was on her iPad (yes, her iPad) and asked me a question about my facebook status. I cringed knowing that she even had a facebook account. The problem is, the internet is an evil place where creeps and bullies get to hide behind a screen and make fun of someone who they’re jealous of or just don’t like. It’s a recipe for disaster. 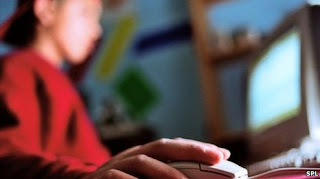 You may disagree with me, but I’m blaming this on the leniency of the parents letting their kids go onto the internet without any parental controls. On the playground, it’s different. The kids are face to face. 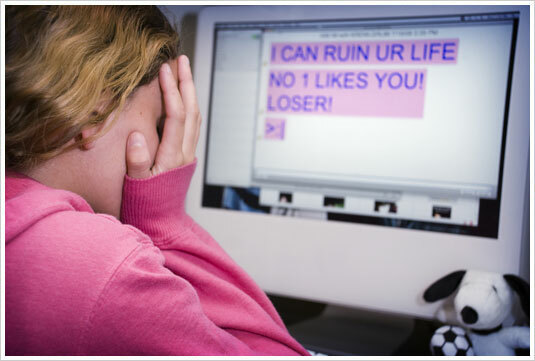 On the internet, the kids don’t have to show their cowardly faces, so they do much more damage. I don’t know what I would do if I found out one of my little ones were getting bullied. I’d probably wanna wrap a couple of cement blocks on their little feet and fling them in the nearest puddle, but instead, I should be knocking down the doors of the parents of these bullies. Ah, but that’s not my job - it’s not my place to do so. I’m actually very happy I don’t have kids just for this reason alone. I’d be too overprotective, and the only technology my kid would be typing on would be a calculator or a typewriter, or at least navigate the internet with parental controls. We need more parental controls in these kids’ lives. It gets better when somebody actually does something about the bullying. RIP Jamey. I only wish he would have viewed his own video about a hundred times so that he’d still be with us today inspiring kids all over the world. What a shame.